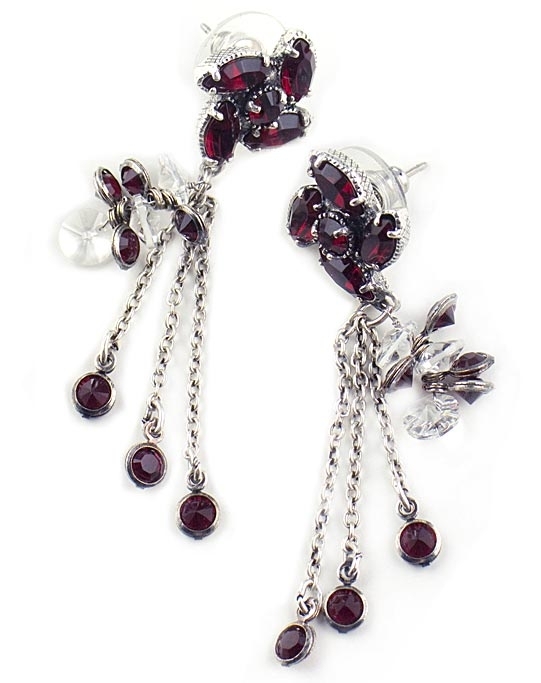 crystals and three dangling silver chains finished with red swarovski crystals. Earrings drop 6cm (2.3") and have a post back. A timeless piece of designer jewellery; Also makes a wonderful gift for a loved one. Available exclusively in the UK from the Farfallina Online Jewellery Boutique.